So I’ve been making model trees out of an old plastic christmas tree for my gaming club (the ANU Wargaming Society), and I think they’ve turned out quite well! 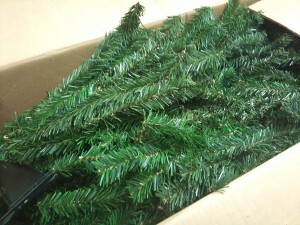 Since the plastic christmas tree was so old, most of the branches have been flattened so they’re nearly 2D (the bristles point in only two directions on some of them!). 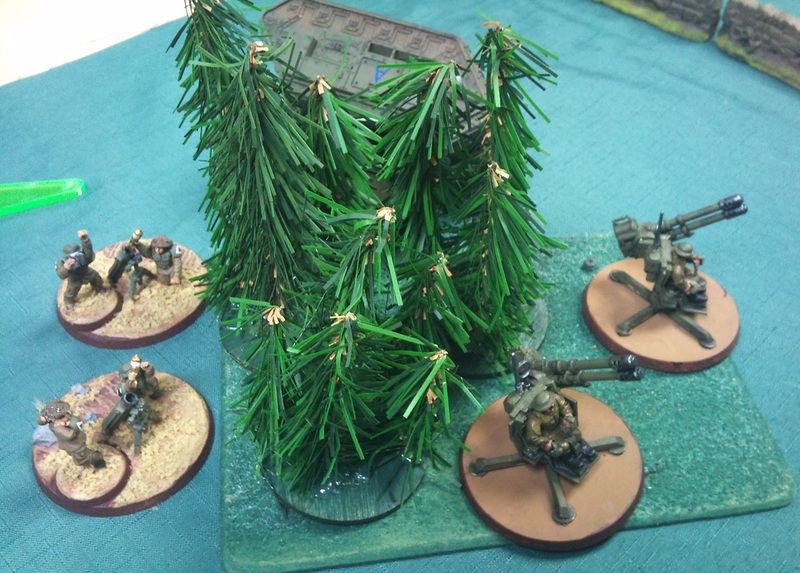 To hide this problem, instead of doing individual trees I’d done clumps of 4-5 on 60mm round bases (MDF, which I spraypainted green). 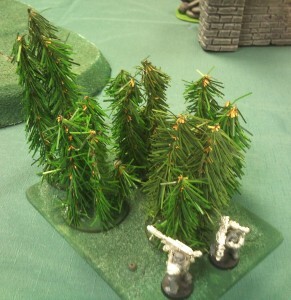 The individual clumps can be used as scatter terrain or – as shown in the photos here – on larger bases to indicate area terrain. Trees for the Tree God! 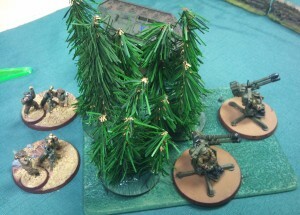 This entry was posted in Games Workshop, Infinity and tagged Modelling, Terrain by Luke. Bookmark the permalink.